Discussion in 'Regulated (Voltage / Wattage / 3.7v/ Temp Control)' started by mattdarat, Sep 1, 2018. Well I am back to looking for a new mod. 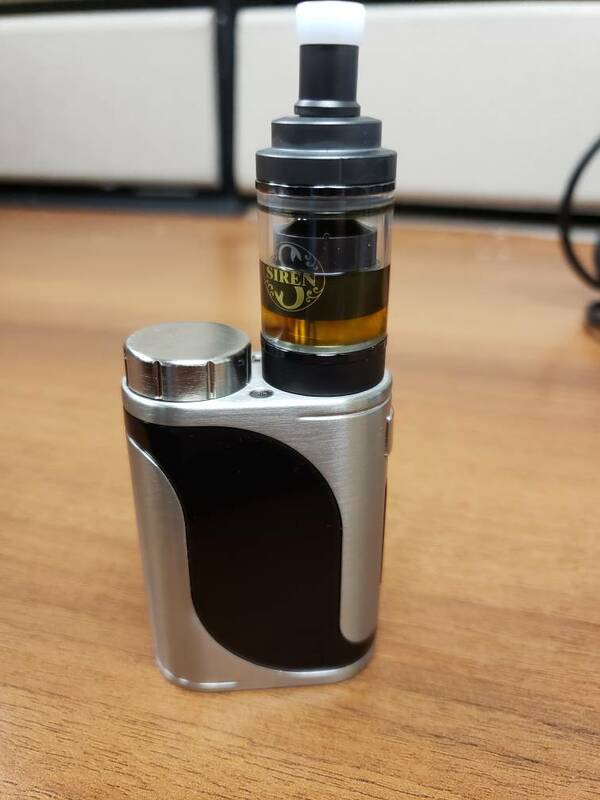 I've had a tpriv for about a 6 months and now it has shorted out. It over heats just putting the batteries in. So I'm looking for a new mod. I use a nautilus 2 with 1.5 ohm coils. I love the mouth to lung vape and can't go back to direct lung. Every mod at my local shops is 2 battery and comes with a direct lung tank. I am looking for a single 18650 mod. The best mods I owned were a vamp v5 and an evic vtc mini. I can order a new mini but I was wondering if anyone recommends a different small 18650 mod. Thanks for your help. I'm a MTL vaper, for the most part. I've loved my minis, too. My Picos have been super reliable, as well. Check out @Countrypami's Labor Day deals thread. Several places are having good sales this weekend. I know I saw a Pico, somewhere, and the Mini vTwo, also. It's the same as the original, just has a fancy clock on the screen, but it can be disabled. mattdarat and Countrypami like this. So I'm not the only one that prefers smaller single batt mods? Yay! Those IPV D# mods are quite nice in the hand and they perform well too (YiHi chips). I had a D2 a few years back and it was a nice little mod. Countrypami and Raymcconn like this. I know someone who MTL and one of has a few sinuous p80's. It is a good solid single battery mod. I own one however not for MTL. Pico's I will never argue against however. Oooh, I just saw green one. It's prettty. I remember seeing a pic of yours in a different color. Even with Nautilus 2 coils you can find yourself carrying another 18650. Maybe consider a single 21700 with close to 4K Mah, like Samsung 40T. Aspire Typhon has 5K Mah built in. mikeyboy74, MrMeowgi and geoffd like this. I dont really have one. I just hate buying a mod with a tank that never gets used. I’m liking the Armour Pro I picked up recently; takes 21700/20700 or 18650 with the included adapter. Not sure I’d qualify it as especially compact, but it slips into a pocket about as easily as a 24.5mm diam. tube mod IME. I just ordered a pico 25 and a siren v2 from vapesourcing. Now the wait begins. Praying my ipv4 holds out until the new one gets here I have no other mods and I'm not buying another 2 battery mod from the brick and mortars. So I ordered on Sunday from vape sourcing. Never got notice anything happened to my order until it was already delivered Thursday. I left work at 330pm and couldnt wait to get home to open it. I have a 2 hour ride home from work... longest 2 hours of my life lol. I get home its 520ish I have to be at my daughter's school for 630 and take my daughter to my in-laws before that. I am at a serious crunch for time but hey i can't wait to fire it up. I took the pico out slapped my nautilus 2 on it and started thinking. Hmmm can I build the siren 2 fast enough to make it where I need to be. First thought was challenge accepted. Second was get my wire and tools. In less than 5 minutes I had the siren 2 built wicked and filled. It is a dream setup. Thanks everyone for the mod recommendation. MWorthington, Huckleberried, Countrypami and 3 others like this.